Are you an athlete who participates in sports that involve jumping or quick stopping? If so, you may be at risk of tearing your anterior cruciate ligament, or ACL. In most cases, when an ACL reconstruction fails an ACL revision surgery is recommended to restore anatomy and function. ACL revision surgeon, Dr. Mark Getelman provides diagnosis and both surgical and nonsurgical treatment options for patients in Los Angeles who have suffered a failed ACL reconstruction. Contact Dr. Getelman’s team today! 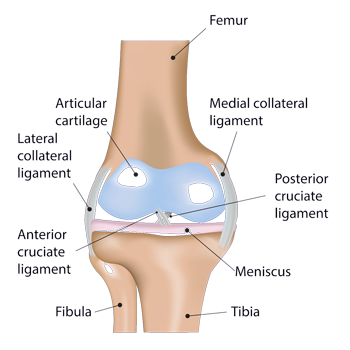 The ACL, or the anterior cruciate ligament, is the most commonly torn ligament in the knee. Located in the front (anterior) of the knee, the ACL provides stability to the knee joint during twisting and rotational movements. The ACL is also responsible for preventing the tibia (shin bone) from moving too far forward in relation to the femur (thigh bone). The majority of patients who sustain an ACL tear will require an ACL reconstruction to restore knee function and stability. An ACL reconstruction is considered a highly successful surgery but certain patients may experience a re-tear and tear the reconstructed graft. In these cases, ACL revision surgery is necessary. Revision surgery is more complicated and Dr. Mark Getelman specializes is this complex surgery and has published on the technique. Van Nuys, Thousand Oaks and Los Angeles, California area patients can depend on Dr. Getelman, board certified orthopedic knee surgeon, to help return them to the activities they love after a failed ACL surgery. The exact cause of a re-tear of the reconstructed graft is not fully understood. It may occur by returning to athletic activities too soon or not following physical therapy protocols after the surgery. A re-tear, can also occur with a new injury to the knee during a traumatic event. Certain patients may also experience a recurrent tear ACL because the graft or fixation did not perform as intended. Once a re-tear occurs, a careful assessment must take place to determine the reason for the failure. It is extremely important to address all factors that contributed to the failed ACL surgery before performing a revision. 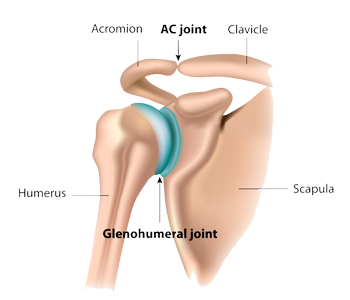 Once understood, Dr. Getelman can then perform an ACL revision surgery and restore function to the knee joint. An ACL revision surgery is generally more difficult to perform because there may be scar tissue and the graft and fixation devices used to reconstruct the ligament during the original surgery are still in place within the joint and need to be addressed with the redo surgery. Like the original reconstruction, an allograft (donated tissue) or an autograft (tissue from the patient) can be used to reconstruct the damaged graft. Dr. Getelman will determine the proper graft option based on the graft originally used. A staged surgery may be necessary if bone quality is compromised from the original reconstruction. During the first stage following the re-tear, Dr. Getelman will perform a preliminary procedure with removal of the torn graft and then bone grafting to fill the damaged area with new bone. During the second stage up to 4-6 months later, he will perform the ACL revision surgery with the appropriate graft type. The results of an ACL revision surgery are very successful but less than the original reconstruction due to the complexity of a re-tear and the reconstruction. Are you a candidate for ACL revision surgery? Immediately following surgery, patients will be typically placed in a brace and will begin a thorough physical therapy rehabilitation program. Patients are encouraged by Dr. Getelman and his team to use crutches for about two weeks after the procedure. Dr. Getelman may recommend the use of a functional brace during the first year, depending on the patient’s daily activity level. If you have experienced a failed ACL surgery and require an ACL revision surgery, contact Dr. Mark Getelman, orthopedic knee surgeon located in the Van Nuys, Thousand Oaks and Los Angeles, California area.